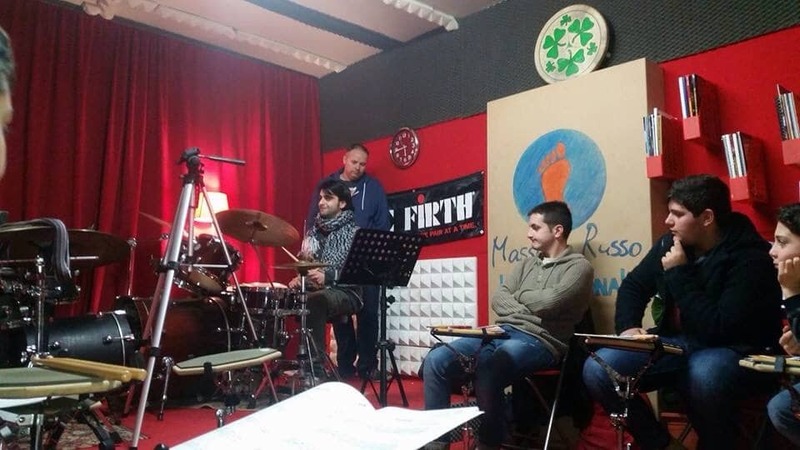 Every three months I visit Massimo Russo’s incredible drum school in the south of Italy. I am always taken aback by the warmth of the people – their hospitality, sense of community and of course, their love for the drums. The classes are made up of youngsters to the young at heart. Everyone who attends has a “can do” attitude as I actively encourage a sense of friendship and team spirit throughout the duration of the class. We work hard, tell drumming stories and laugh even harder! The programme is a year long and we keep tabs on progress thanks to the wonders that is the internet! I am hugely encouraged by the results of these classes and hope to be able to offer more soon in Italy, France and across the UK.